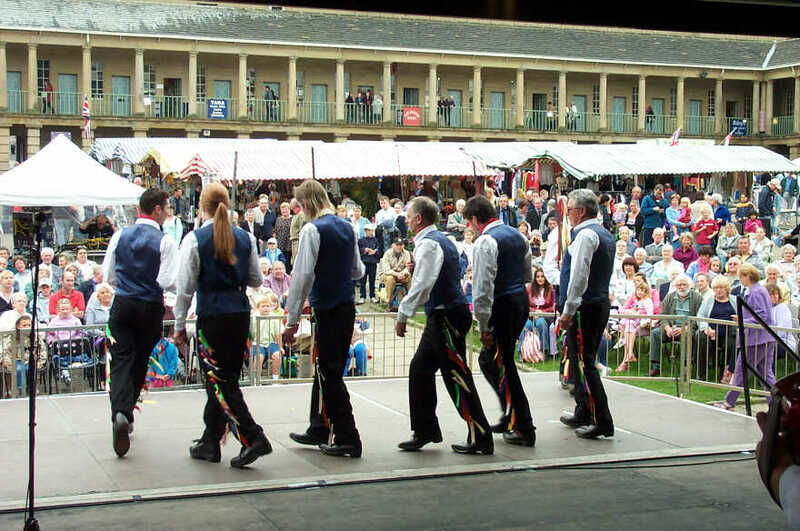 After picking up a few more bargains at the Magic Mountain sale we headed over to Yorkshire to meet up with some friends and watch the 2002 Halifax Traditions Festival. 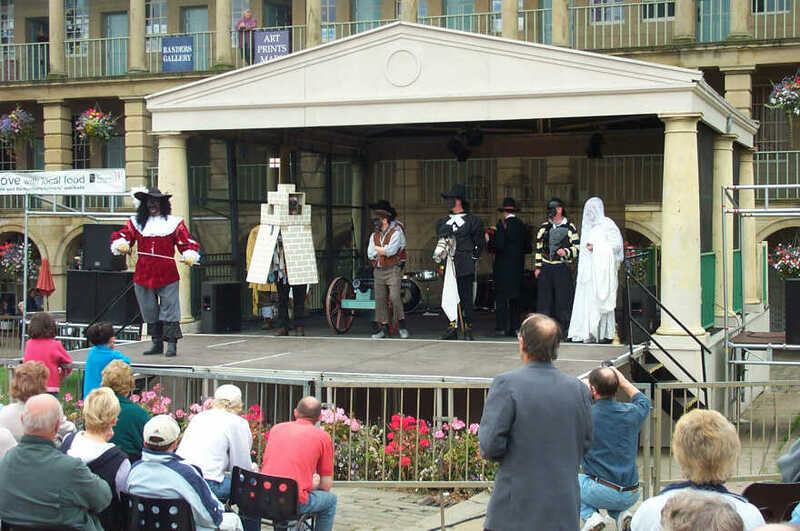 We saw the Bradshaw Mummers the year before at the Sowerby Bridge Rushcart, but their loud cannon still took us by surprise. 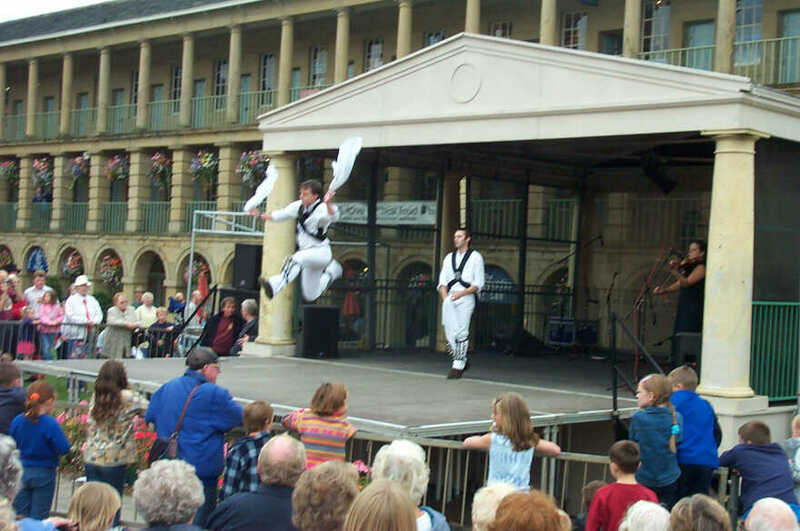 Their play has the traditional fight between Good and Evil but with lashings of Roundheads and Cavaliers thrown in. The big chap in red has a lovely, loud, geordie voice. We have come across Horwich Prize Medal Morris before too. This time they had a couple of very young lads with them - but none the worse for that. 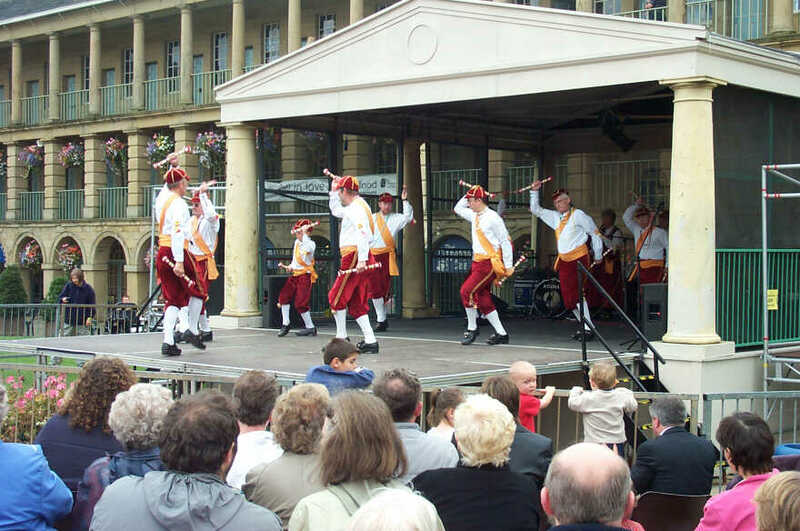 We have known Kirkburton Rapier Dancers for over 15 years know. John, one of their musicians and an occasional dancer, also plays for Ringheye from time to time. 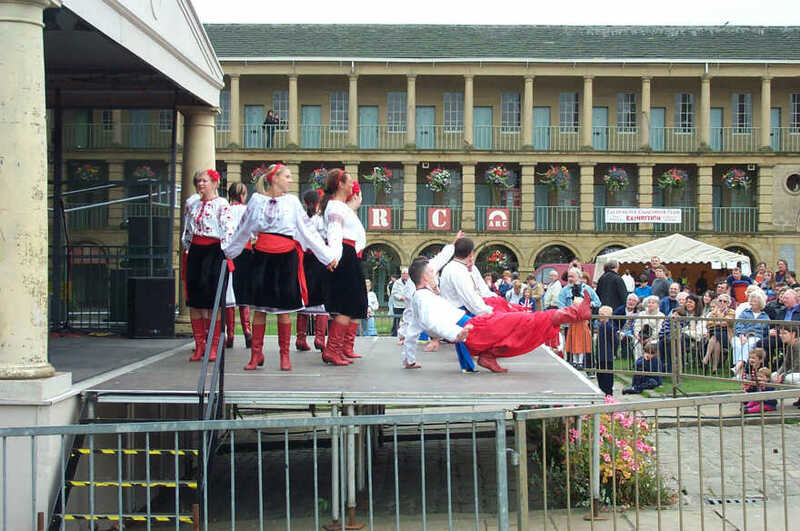 Krylati are from Yorkshire out of Ukranian stock and demonstrated some of their traditional dancing. The men were very energetic indeed. 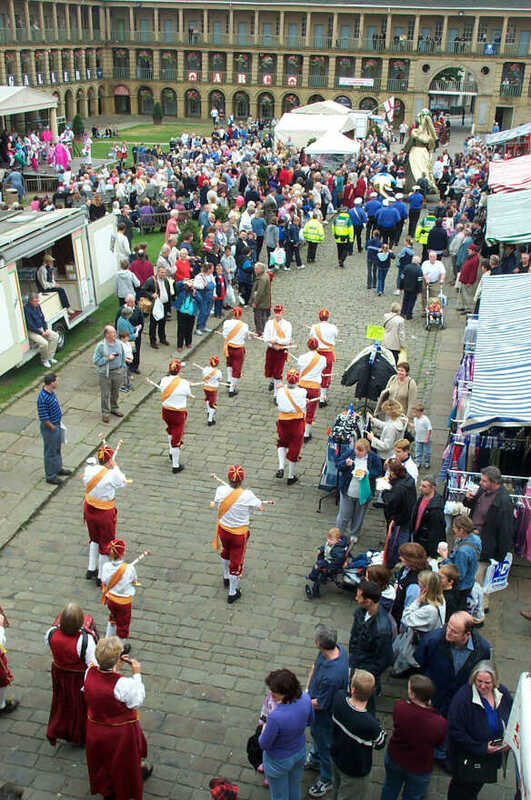 There was a procession around the town ending at the Piece Hall. At the front were the two Sheffield Giants. Then came the Phoenix New Orleans Parade Band and, under the camera, Horwich Prize Medal. Each group had their own musicians so it must have been quite difficult to hear the right music. 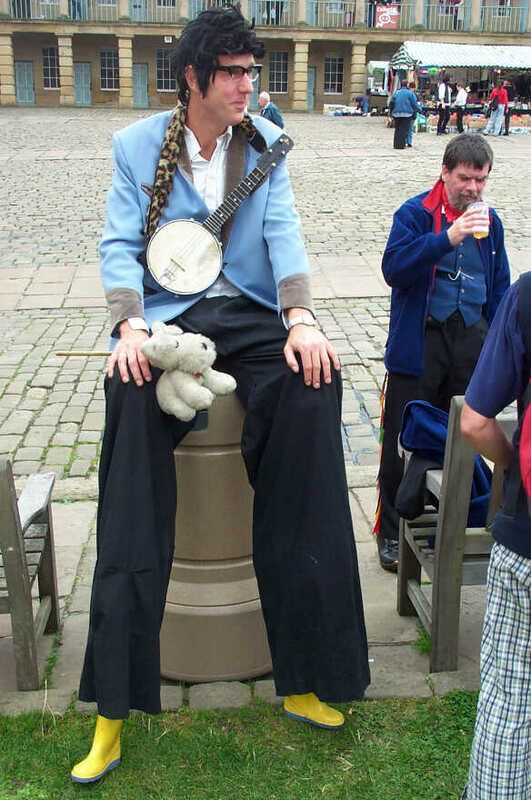 This is Mike Hancock having a rest from playing Elvis on stilts, complete with hound dog. Last on were Heritage of Punjab with their Bhangra dance. It was bright, loud and great fun - everyone seemed to enjoy it immensely. 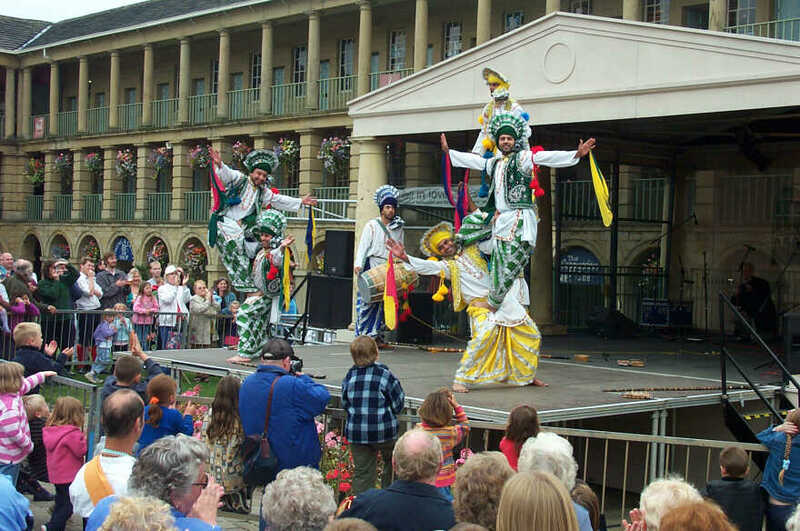 It was a great little festival and it was touching to see everybody enjoying such a variety of traditions.